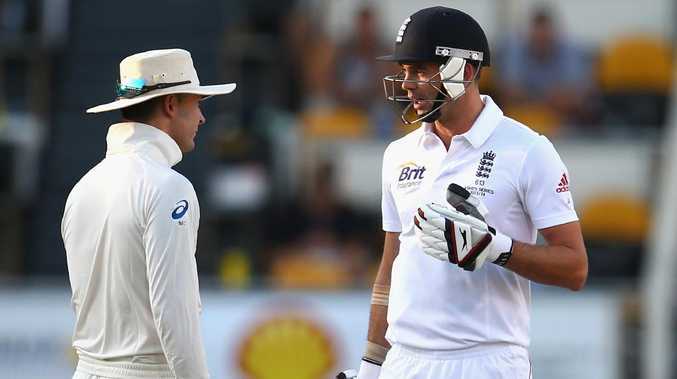 Michael Clarke was caught telling James Anderson to “get ready for a broken f---ing arm” in the 2013-14 Ashes. THE International Cricket Council has declared war on verbal abuse, unveiling new penalties and allowing stump microphones to stay on throughout games in a concerted push to stamp out bad behaviour. The ICC annual conference has wrapped up in Dublin, where Cricket Australia chief executive James Sutherland and other bigwigs agreed on a raft of changes to the sport's code of conduct. 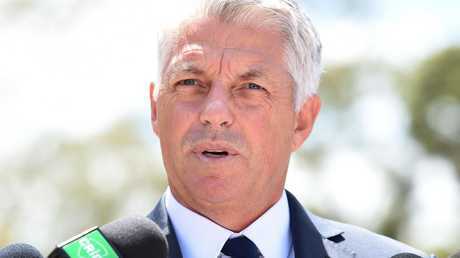 ICC boss David Richardson vowed during Australia's Test tour of South Africa, described by one match referee as featuring the most "animosity between two teams" he'd ever seen, to clean up the game's image. It wasn't just the Cape Town ball-tampering scandal that irked Richardson. He also spoke at the time of unacceptable "ugly sledging, send-offs, dissent against umpires' decisions, a walk-off ... and some ordinary off-field behaviour". Australia’s Test series against South Africa was one of the ugliest in a long time. Ball-tampering has now been bumped up to a level-three charge, as expected, and the maximum sanction for a level-three offence is now 12 suspension points, equivalent to a six-Test ban. But the ICC has also introduced a series of new offences under its code of conduct. Players can now be booked for attempting to gain an unfair advantage (cheating), personal abuse, audible obscenities, and disobeying an umpire's instructions. 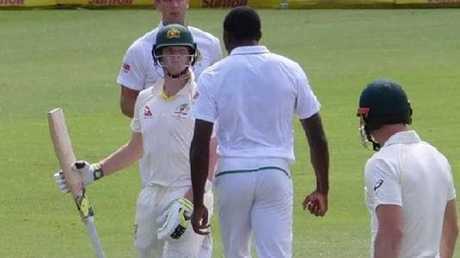 Kagiso Rabada vs Steve Smith was one of a series of flash points in Australia’s tour of South Africa. The ICC board also agreed that broadcasters should be allowed to use stump-microphone audio at any time, including when the ball is dead. Current guidelines suggest stump mics must be turned down between deliveries, meaning a lot of players' chatter isn't broadcast. "There is a clear desire here to reclaim cricket's unique proposition as a game that people can trust in," Richardson said. David Richardson: "There is a desire to reclaim cricket’s position as a game people can trust in." 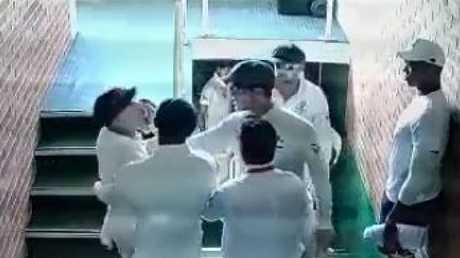 Michael Clarke's "get ready for a broken f---ing arm" sledge to Jimmy Anderson during the 2013-14 Ashes is perhaps the most memorable example of an insult being broadcast when stump mics were meant to be turned down. Many players view open stump mics as an invasion of privacy, while others feel host broadcasters exert too much influence and don't treat both teams equally. The Australian team plugged sponsors earlier this year during a Test in South Africa, unsuccessfully attempting to have mics turned down. On top of the code-of-conduct changes, the ICC has also outlined its intention to hold cricket boards to account for players' behaviour. The suggestion is an accumulated number of offences could result in a sanction for the board of that country. The ICC has also called on boards to build a culture of respect by treating touring sides better, such as providing proper tune-ups before a Test series. premium_icon Is Cricket Australia set to water down ball-tampering penalties?